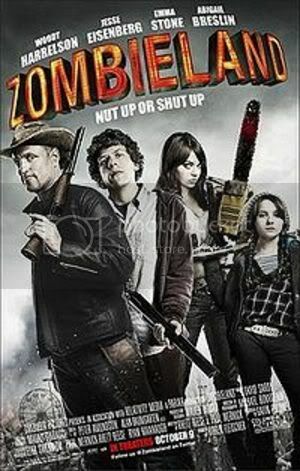 Buy, Rent or Skip Zombieland? Emma Stone. Woody Harrelson. Jesse Eisenberg. Abigail Breslin. And Bill Murray, who steals the movie. I'm not a fan of Zombie movies as I find them overrated, predictable and most of the time, boring. But Zombieland is fun fun fun all the way through. This is definitely a comedy, so there really aren't any "scare" moments to be found anywhere. If I had to describe this movie, I would say that it has a winking nod to National Lampoon's Vacation as they both have the same destination. Oh, did I mention Emma Stone?